Playtime is never-ending! This non-powered set is great for beginners and is easy for little hands to handle. The new Imagineering line allows you to expand and grow your world with separate sale track and accessories. 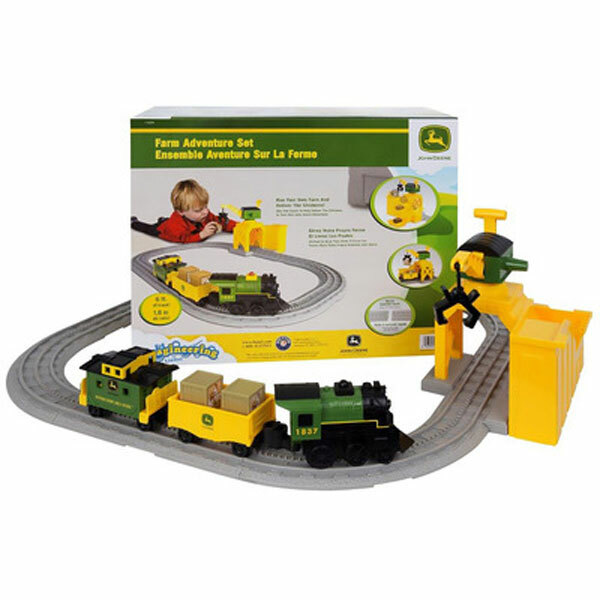 Design and run your own farm utilizing the Lionel quick-connect track and working cargo station to load and unload the chickens. Child development skills include creativity, imaginative play, problem solving, and motor skills.